This info & more available in my book “Anatomy of Stretching”. Visit http://www.craigramsayfitness.com to order your autographed copy and be on your way to discovering your splits. One of the main reasons I wrote the book “Anatomy of Stretching” is because I want everyone to have the chance to experience the freedom of movement the Broadway Dancer has. Too many people to count have reached out to me over the years with a goal to achieve the splits. I’ve developed routines that will help get you there. Visit my website and pick up your copy of my book and achieve your splits. 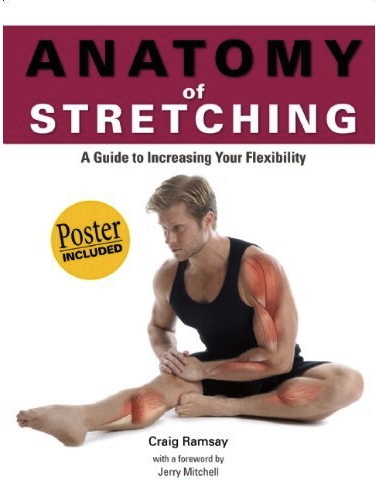 IF I ONLY HAD A….COPY OF “THE ANATOMY OF STRETCHING”! I received an early Christmas gift this year, a couple of trend and lifestyle magazines listed my latest book, “The Anatomy of Stretching” on their things to give this holiday season! So listen to these guys this Christmas and have a “HEART”, give the gift of health! Visit http://www.craigramsayfitness.com to order your autographed copy for yourself or for a loved one before Christmas. 1. 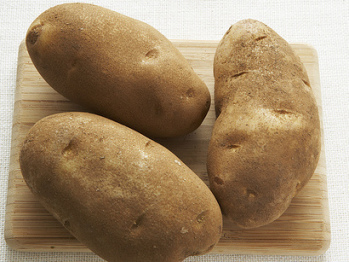 You can get more potassium from a baked potato than from a banana. 2. 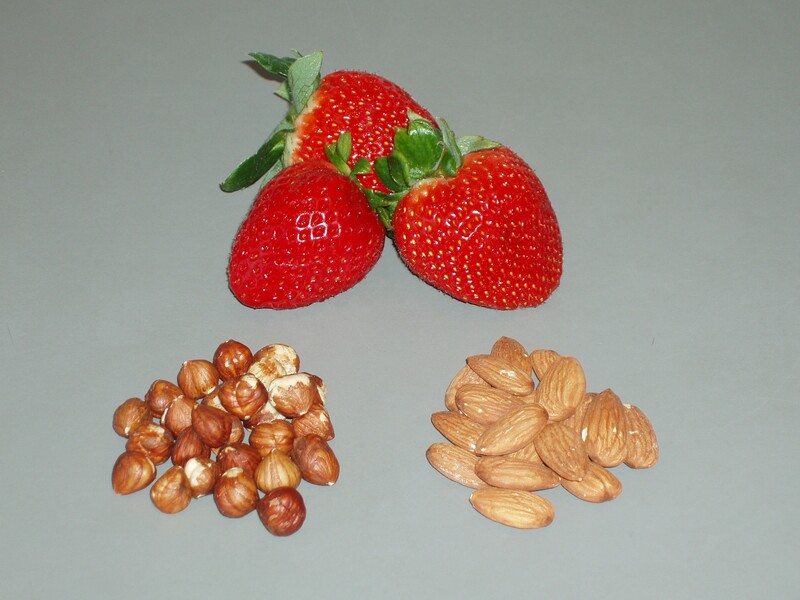 Try strawberries and salty nuts after an intense workout. 3. If you cramp excessively during your workout it usually means you might have a calcium deficiency. If it’s random cramping, there may not be enough salt in your diet. Build up your workouts to give your muscles a chance to adjust to the demands. Excessive muscle cramping can also mean you are skipping these steps of building strength and endurance. Workout through the cramp can help release the muscle. If you experience severe cramping during a workout, try a warm towel or a warm bath for relief. Also, firm slow strokes, massaging the cramped muscle can help. Remember to alway massage up the leg to prevent varicose veins. I had a great interview on The Qiew with host Paul “Hot” Karle on Blog Talk Radio last week. I am back home in Canada and appeared this morning on The Morning Drive with Mike and Lisa. Anatomy of Stretching by Craig Ramsay is a fairly comprehensive rendition on the various stretch exercises that can be done to train the limbs to move in an enhanced full range of motion. The beauty of this book is that the author presents numerous diagrams of the torso engaging in stretches to achieve a greater range of motion than can be obtained through standard exercises and sports. The author’s objective is to train the body to move in a greater range of motion than a typical sport would require. Ramsay depicts a series of exercises in standing position or lying down. For instance, there are stretches depicting the torso lying down with the leg stretched outward multi-directionally. In addition, a full range of foot exercises are presented; such as, the circular motion movements. Anatomy of Stretching delves into the internal body structure to allow readers to determine which muscles are being worked out and the sequence of steps necessary to achieve a full body range of motion. According to Ramsay, each workout should commence with a stretching regimen designed to warm up the body and reach new plateaus of range of motion over time. This goal would be difficult or impossible to achieve without the expertise of a professional trainer knowledgable in the details of muscle anatomy. Readers will learn how to do a tricep stretch or a shoulder stretch. In addition, it’s critical to keep the neck relaxed during a hip flexor stretch. Get your copy of “Anatomy of Stretching” now!